Last year we got sucked into the elf tradition, thanks to my well meaning mom. 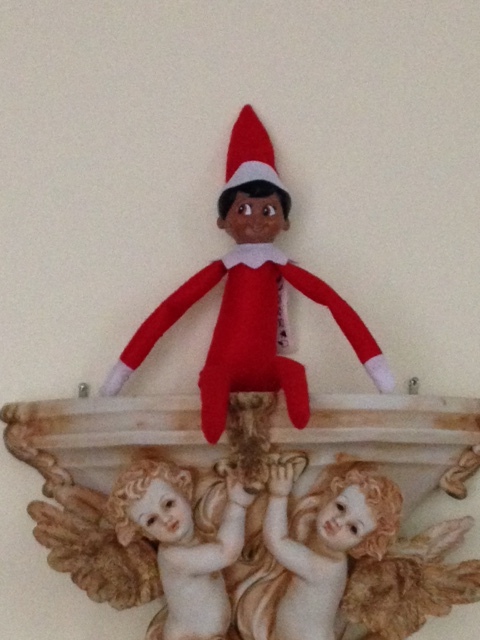 I learned quickly that it’s not a good idea for the elf to start spying too soon…..for some reason he came to us in October and we just went with it. 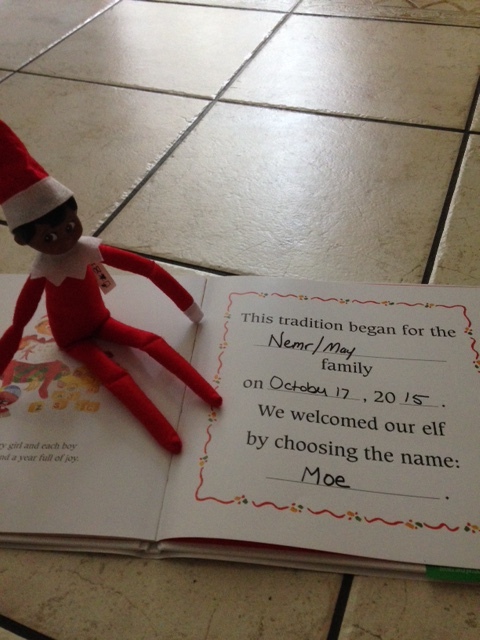 To preserve my sanity, I’ve made it clear to the kids that Moe-our elf-won’t be appearing until after Thanksgiving this year. I got some great ideas last year from Pinterest boards, which I happily copied. And sometimes I tried my hand at being creative…. I was supposed to have a month of great ideas by now. That was my homework for myself last year. So a couple weeks ago I got some elf accessories to take things to the next level. things like a leather jacket…. a few T-shirts…..and a bathrobe. Maybe we’ll invest in a reindeer for him to hang out with, or a Saint Bernard…. They couldn’t wait for him to start “spying” on them, so we put him to work right away. It became clear to me, very quickly…. 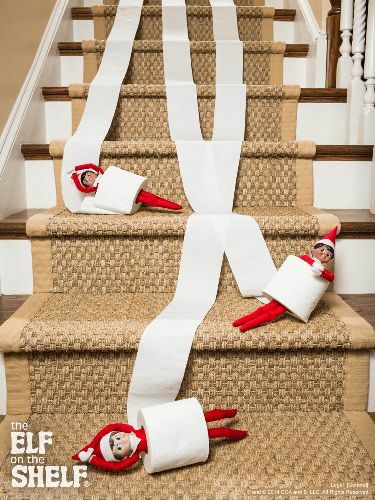 the elf started too soon. There was no way I could keep this up for over 2 months, what was I thinking!? So we sent Moe on a vacation to help Santa in the North Pole. While he’s gone, I need to figure out ways to up the game. I have ideas for this elf, thanks to the internet and especially Pinterest. When Moe comes back, no more just sitting and watching. He’s going to be an active elf. These are just some ideas from Pinterest….and I need to come up with some more of my own. I was surprised by how excited the kids were about our elf, almost making me feel as though I’ve cheated them in years past by just watching them and threatening to tell Santa myself…. 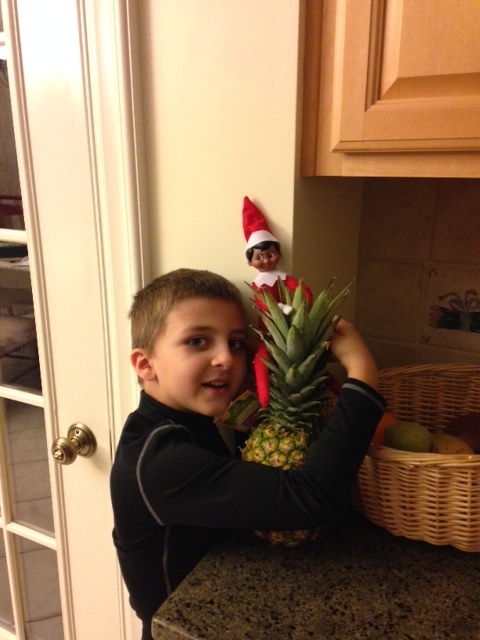 They must think the elf will be more of a pushover.